Midway Nissan | Nissan Leaf | The Nissan Leaf Is Here! The Nissan Leaf Is Here! The Nissan Leaf is considered to be the best-selling electric car of all time. The all-new 2018 Nissan Leaf is a zero-emission vehicle, running off of 100% electric battery power. You can charge your car from the comfort of your home, or at public charging station near you. The Nissan LEAF app is designed to help you manage your vehicle and your battery status. The app can also assist with features such as estimated driving range and climate control. 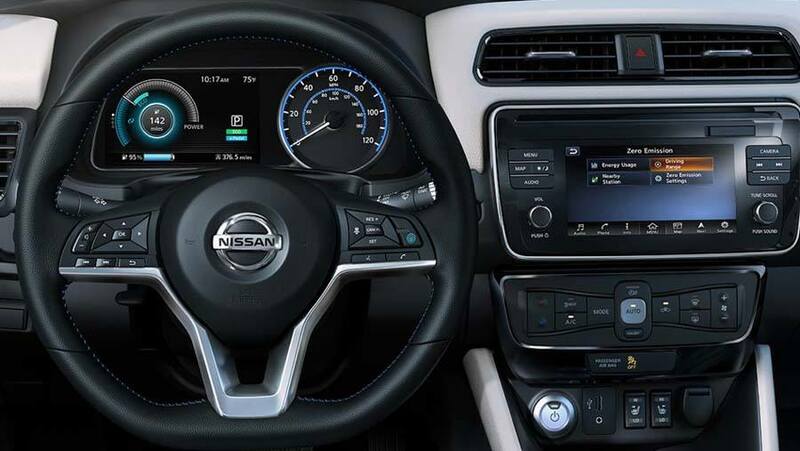 The Leaf includes an e-Pedal, which allows the driver to accelerate and decelerate by using only one pedal. With a flip of a switch, you have the choice to drive in a more efficient way. On Thursday, March 1st, Midway Nissan, our salesman Keith Roberts and our new Leaf client, Rick McKinlay, was chosen by Nissan Canada to discuss the 2018 Nissan Leaf! 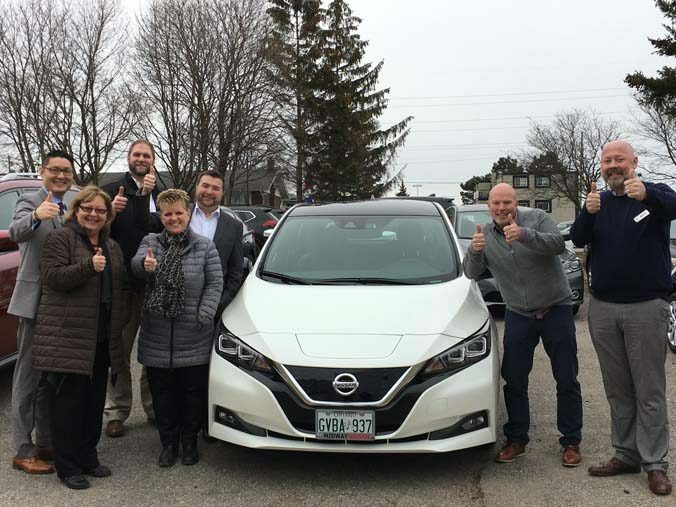 Rick purchased a 2018 Nissan Leaf SL. The SL includes Leather Appointed Seats, Around View Monitor, BOSE Premium Audio (7 Speakers) and Heated Outside Mirrors with Integrated Turn Signals. It also includes features from the SV such as ProPilot Assist, NissanConnect with Navigation featuring Apple CarPlay and Android Auto, Blind Spot Warning, Rear Cross Traffic Alert and much more! Rick was able to learn more about his car with our knowledgeable sales staff, as well as see other models of the Leaf. We hope you enjoy your new Leaf, Rick!